Hard drives are the worlds most common method of data storage. Shadik Technologies has years of hard drive recovery Los Angeles experience recovering data from damaged, malfunctioning, or failed hard drives. Our hard drive recovery Los Angeles technicians are highly trained in the latest methods of data recovery, and have access to the most advanced technology available. Hard drives are extremely sensitive data storage mediums, and the slightest error can often result in disaster. Our hard drive recovery Los Angeles data recovery process ensures that your data has the highest possible chance of recovery. Most hard drive failures are caused by mechanical damage that data recovery software tools cannot repair. 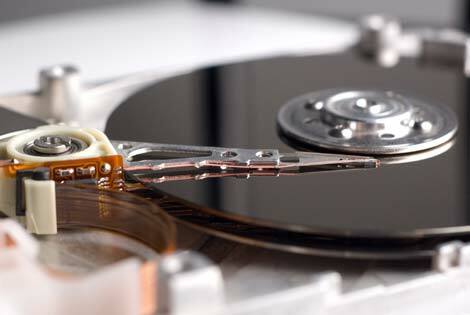 Mechanical hard drive problems and defects require greater amounts of technical expertise. Hard drive manufacturers do not release internal information about their drives, and thus it is important to use a data recovery company that has both experience and expertise at recovering from mechanical failures. Our hard drive recovery Los Angeles process specializes in mechanical or physical drive faults to ensure good data recovery. Shadik has successfully recovered good hard drive data for all clients including individuals, small businesses, and large corporations. If your hard drive is making strange noises including clicking, grinding or scraping metal sounds, turn it off immediately! These sounds are symptoms that typically indicate a drive head crash that can destroy your important data. Internal hard drive platters spin extremely fast, up to 15,000 revolutions per minute, therefore extensive damage can occur in a short period of time.